The divorce process can be extremely overwhelming as you simultaneously work to separate the many aspects of your life that have been intertwined for years while also trying to move forward emotionally. Litigation is one way to settle the terms of your divorce but can be extremely costly, both financially and emotionally and actually adds to existing conflict. Divorce mediation is an effective tool that can be used instead of litigation to settle your divorce that can save you time, money and allow you to move past your divorce more quickly. Johnson Mediation offers comprehensive divorce mediation services to couples in the Carver County, Minnesota area. 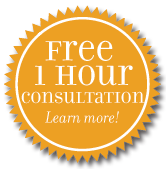 Our team can help you navigate the divorce process from start to finish to reduce the overall stress. Divorce mediation can help you and your soon to be ex-spouse solve all important aspects of your divorce including the division of property, debts and assets, the development and implementation of a fair and equitable parenting plan and the determination of whether child and/or spousal support is needed. Our trained and experienced mediators understand that divorce is a difficult time for most families, so we help keep the focus on you, your family and your future. We offer guidance about how your divorce can be settled and empower you and your ex to find ways to compromise on important issues, rather than continuing to fight. All too often litigation encourages couples to battle and work against each other, creating a win/lose scenario. Mediation works to solve your problems and reduce overall conflict so that you can move forward with your life. In addition, mediation allows you to put plans in place that last well after your divorce. If issues come up after your divorce is final, mediation can be used to negotiate those additional issues. Johnson Mediation prides itself in making the divorce process efficient and effective for couples. We realize we cannot make it easy on you emotionally, but we can take a significant amount of stress away by offering legal information about the process (not legal advice) and help you make good, sound decisions that will benefit you and your family for many years to come. If you live in Carver County, Minnesota and are facing a divorce, call the team at Johnson Mediation at 952-401-7599 to schedule an appointment for a free divorce consultation.